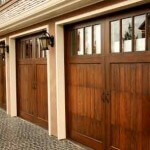 Markwells build Garage Doors to suit all your garaging needs! 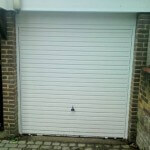 We provide top quality garage doors that are well made, affordable with many designs to choose from. We have a range of Traditional garage doors to the more Contemporary roller style garage doors. A garage door to suit any home! Traditional Up and Over Garage Doors have been around for many years and are a fantastic option to your garage door requirements. They are available with two types of opening mechanisms, from Retractable gear this is where the door is tracked or uses slide aways, or Canopy gear this is also known as a trackless canopy design. Installing a Retractable gear mechanism is a better option if you are looking to make your door automatic either now or in the future. With Markwells you get a fantastic selection of doors in materials from timber, steel and PVC plastic materials, a range to suit any style. If you’re looking for strength and great value for money, steel garage doors are a great option. For a more classic look with great insulation, timber is the best choice, or for convenience and durability, PVC garage doors are the right choice for you. Sectional Garage Doors area style of door that can suit any home and are great space savers. These doors are incredibly robust and secure. The sectional garage door is adaptable enough to fit seamlessly in or behind any shape of garage opening making them a popular choice for many. Sectional doors are manufactured in a range of materials including Steel , GRP (Glass Reinforced Polyester) or timber. Markwells timber garage doors are traditionally crafted and made with natural materials to give you the best looking doors around. Sectional doors are made up using four to six different panels and open vertically to give more overhead height. This overhead vertical opening system makes them ideal for short driveways as you can park right up beside the door and still be able to open it. All sectional garage doors are absolutely ideal for electric automation now or in the future. The engineering used to manufacture these doors will ensure they are some of the finest garage doors available on the market today. Roller garage doors are extremely versatile and customisable. They are becoming a popular choice with many garage owners as they do not require any swing space and can easily be rolled up or down allowing you to park right up close to your door. Roller doors can be manual or electrically operated. For electrically operated just press the button on the remote control, drive into your garage with a second press of the button closing and securely locking the door behind you and all from the comfort and security of your car. Markwells supplies Roller garage doors in an array of colours and finishes to suit every style of garage. We make sure you Roller garage doors are manufactured to fit impeccably to your garage. 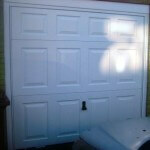 If you need help deciding on the best door for your garage please feel free to contact us.